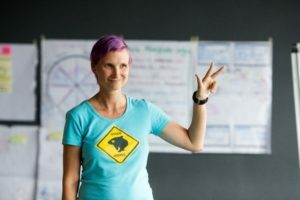 During my CSM – Certified ScrumMaster classes and Agile coaching assignments I realized that the most difficult part of a ScrumMaster role is to accept your goal, and to create a self-organized team. Through the application of the ScrumMaster State of Mind model, you can help teams to become awesome. Once we have gone through all of that, there is almost always one question raised up. 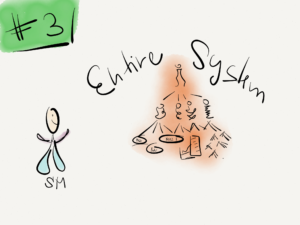 What shall ScrumMaster do if we achieved it and the team becomes self-organized? 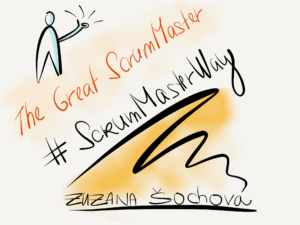 Then it’s good to understand the #ScrumMasterWay concept, which divides work of ScrumMaster into three levels. 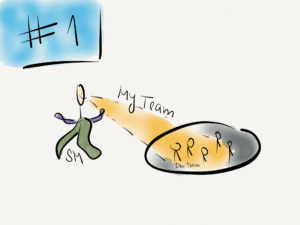 In this level – My team – it is all about my development team. How to make them understand the Agile mindset and Scrum values? How shall we shall become a good team? How will they embrace Agile practices? How can we collaborate, learn, and change the way we work? 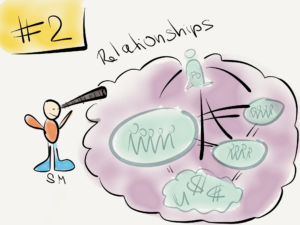 In the beginning, this may be a lot of work, but after some time you will have little to do here and you will stay more and more in the observing circle of the ScrumMaster State of Mind model. The next level is creating a broader context of the ScrumMaster role. At this level, a ScrumMaster is looking at the team from a longer distance, making sure all relationships with other teams, Product Owner, customers, and managers are working fine. Have in mind that the ultimate goal of a ScrumMaster is still the same, to improve self-organization. At this time ScrumMasters often attend CSPO, MNG30, team coaching. The last stage focuses on the entire system. ScrumMaster is looking at the overall organization from a distance, searching for culture changes, environment improvements and behavior patterns. This stage is focused on application of Agile and Scrum philosophy. Without this level you will never create modern Agile Organization.